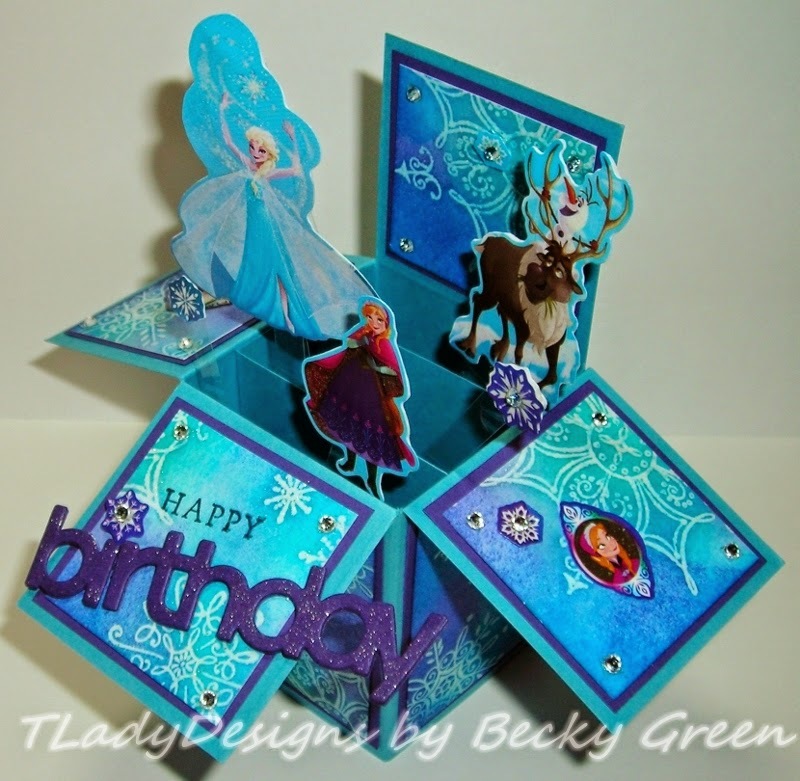 I thought I'd pop in here to show you the Birthday card I made for our daughter. Remember I told you we were having lots of celebrations here? 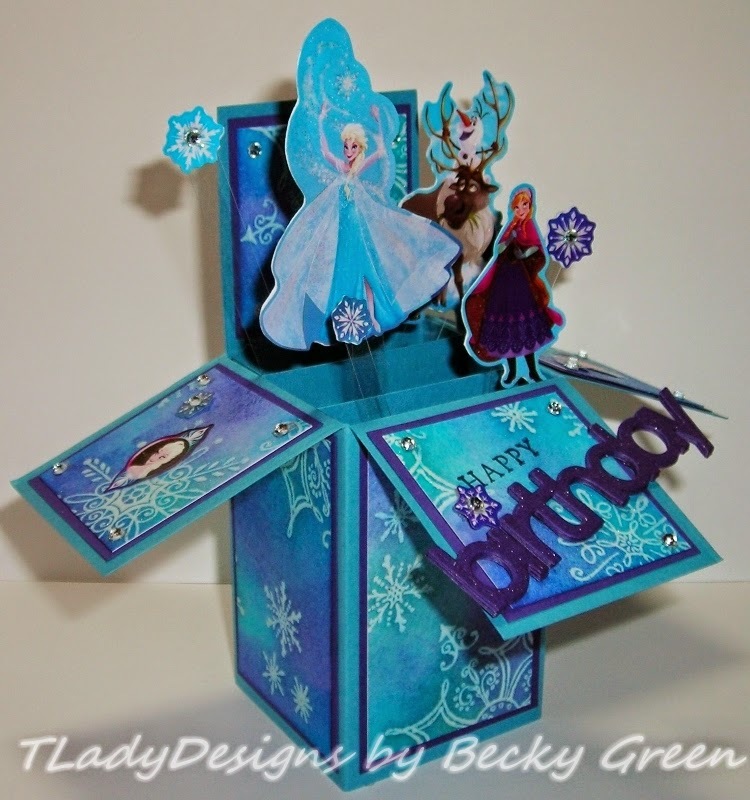 AND I wanted to make her card special, so I made another Pop-Up Box Card! 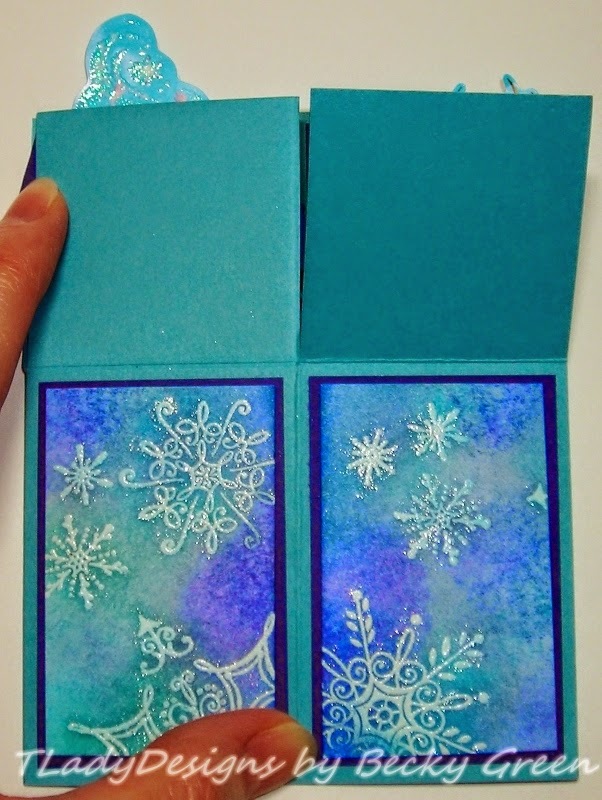 Everyone seems to LOOOOVE these cards, so I knew you'd be interested! Take a peak at what I've made! 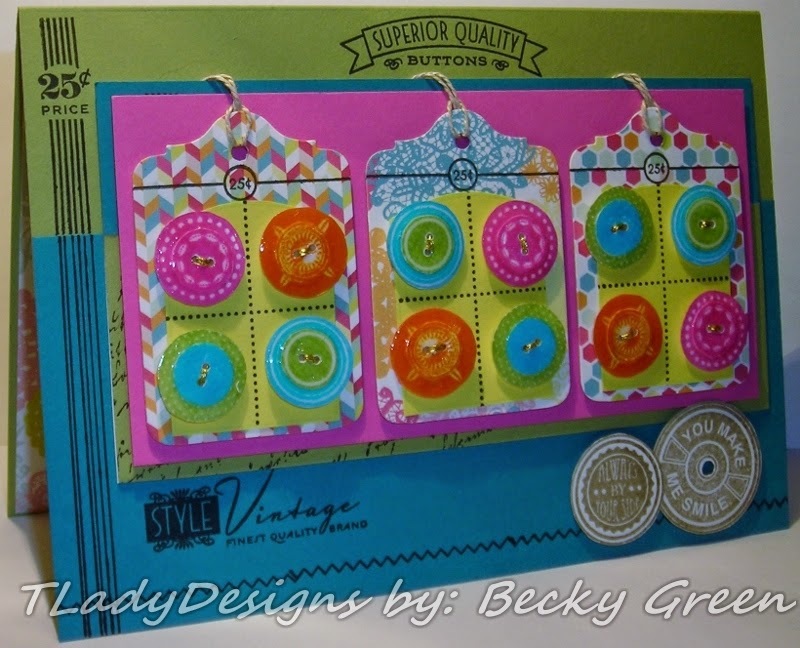 We found them: Stickety-Doo-Da- by American Greetings makes these! My husband found them for me at Wal-mart in the Greeting Cards section! Who would have thought? 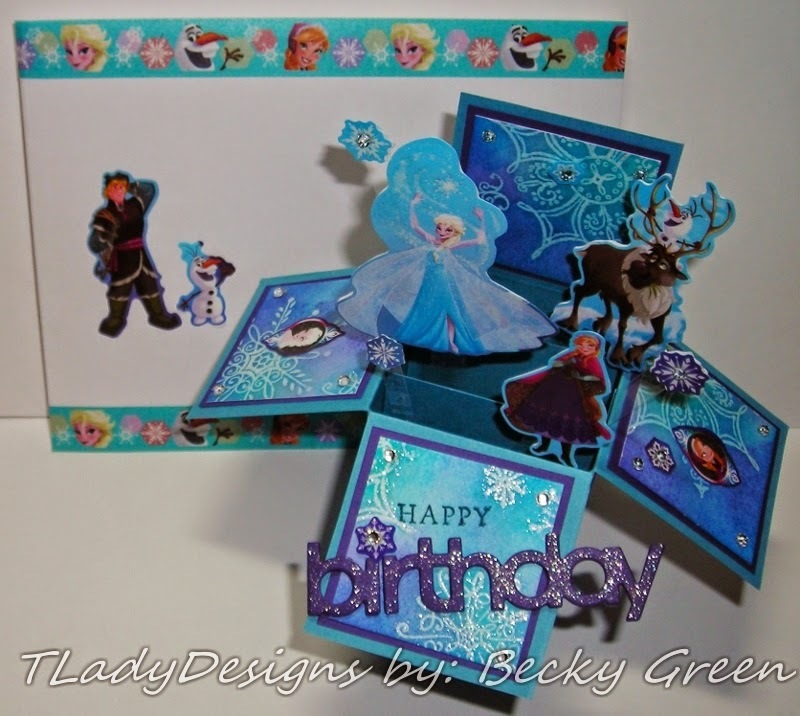 Lots of pictures for you, so we'll just "let it go!" 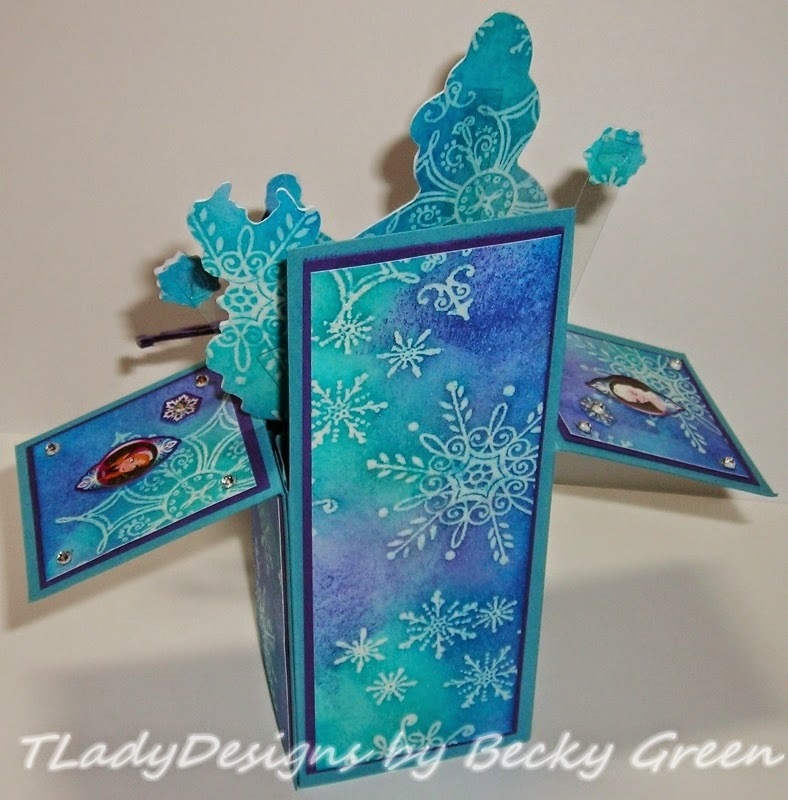 with SU- Serene Snowflakes; I used Versa Mark & added clear embossing powder mixed with glitter & used my heat gun. 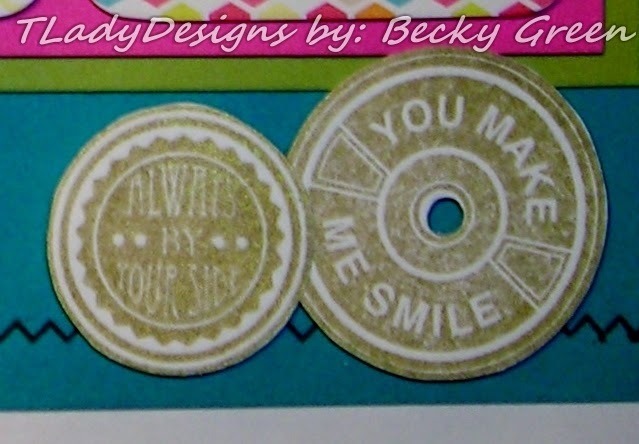 I then sponged on my color using SU Inks & SSS Ink. I also used the extra Designer Paper to back my Stickers. 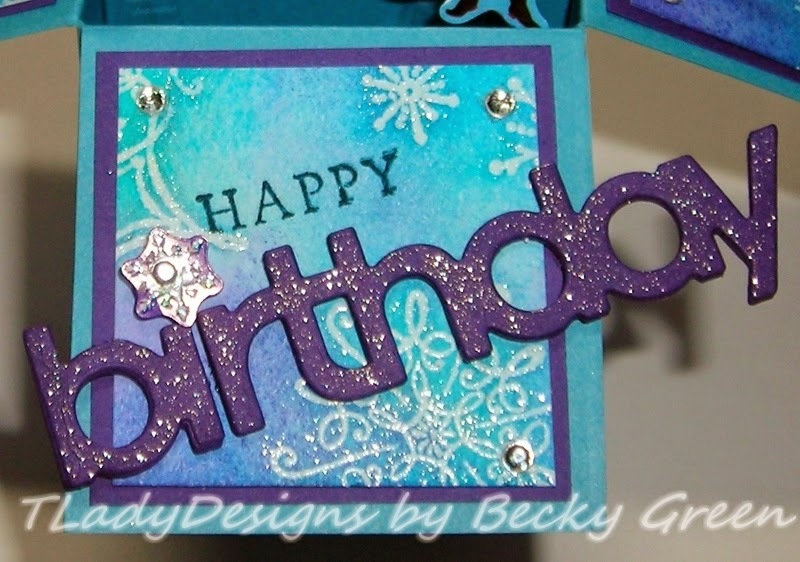 This is the front flap- I used SU- Fundamental Favorites for the "HAPPY," & PTI- Birthday Trio Dies for "birthday." I made about 5 of them & layered them up with Multi Medium Matte. 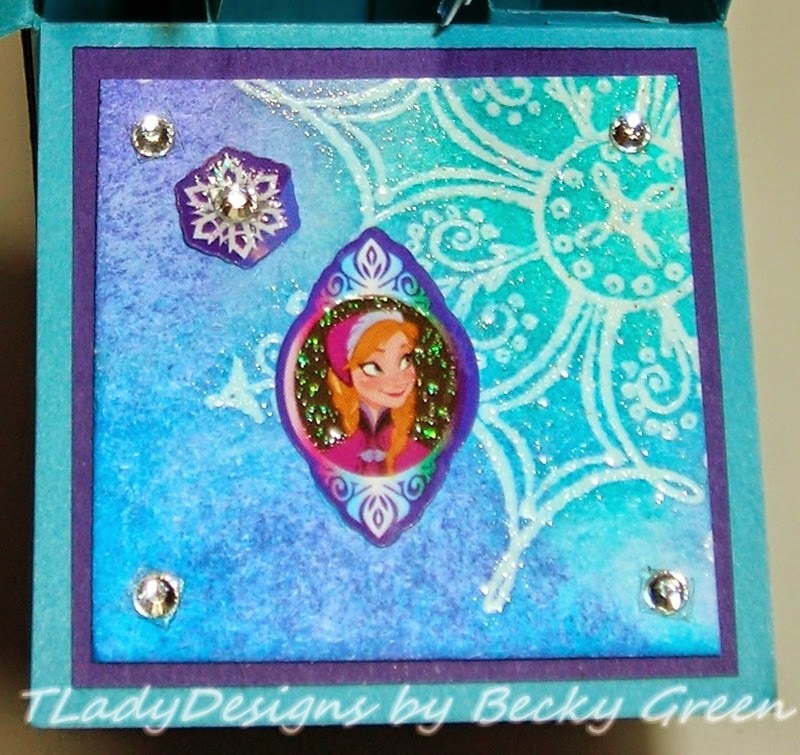 One of the side flaps, Elsa. The other side flap, Anna. A close up of the pop-up characters. Here you can see the layers & where I placed the characters. 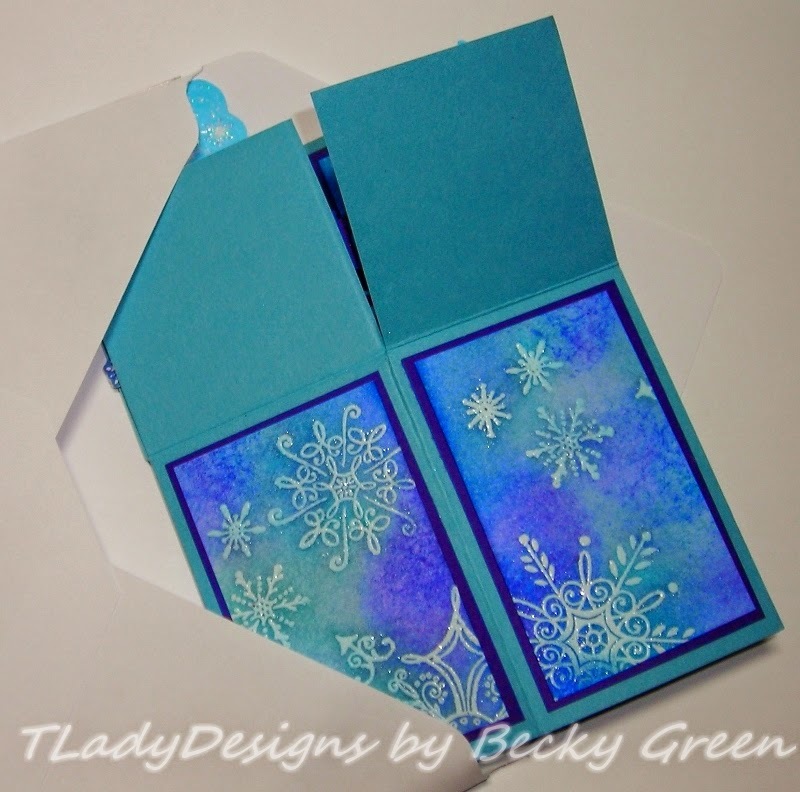 folded the other way, it is enclosed & the best way to slip into an envelope. 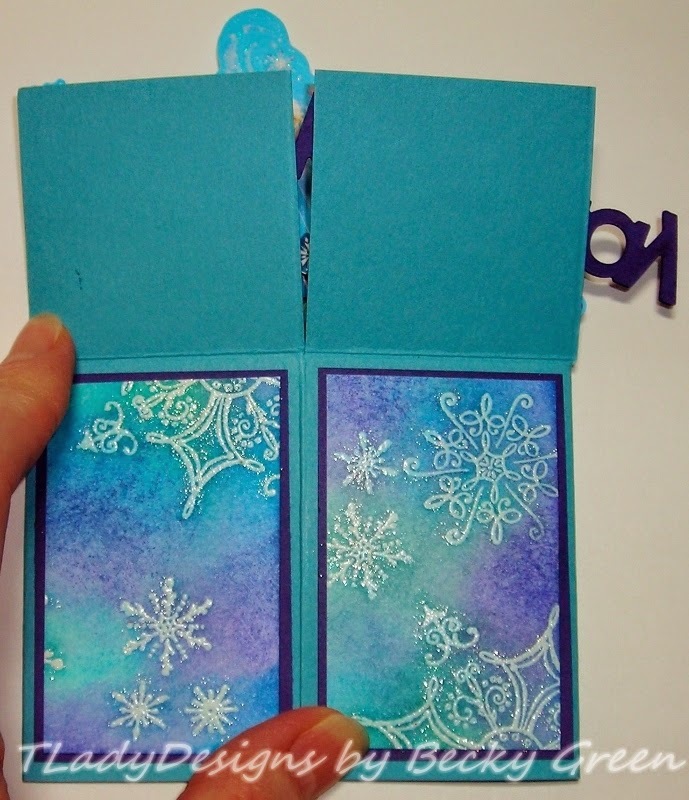 Making your envelope just a little bigger works perfectly. My envelope was made with the WRMK Envelope Board. 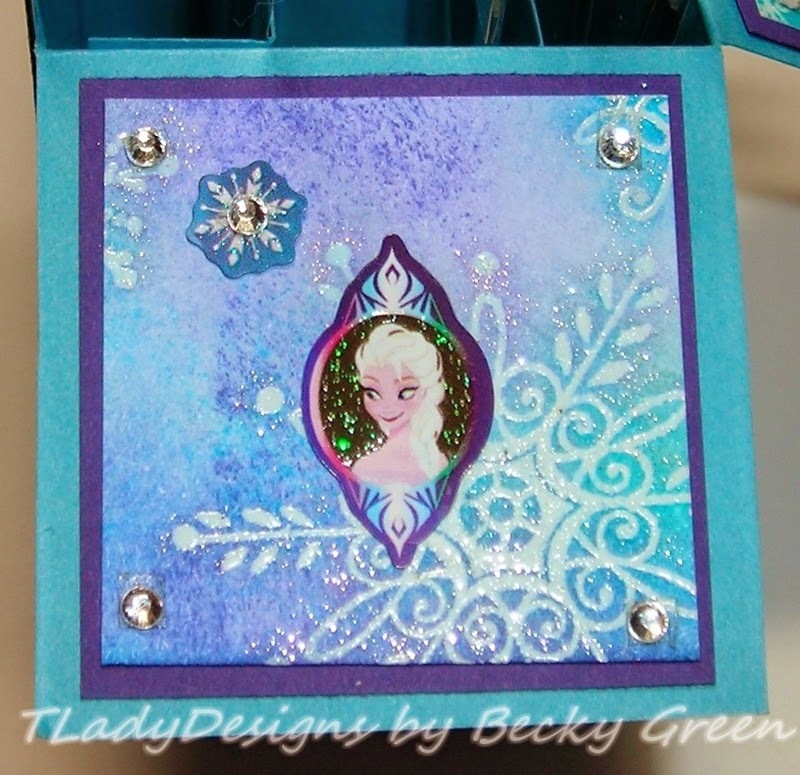 "Frozen" Washi Tape-by Sandy Lion! I think our daughter will want a roll of this all for herself---"stocking stuffer!" 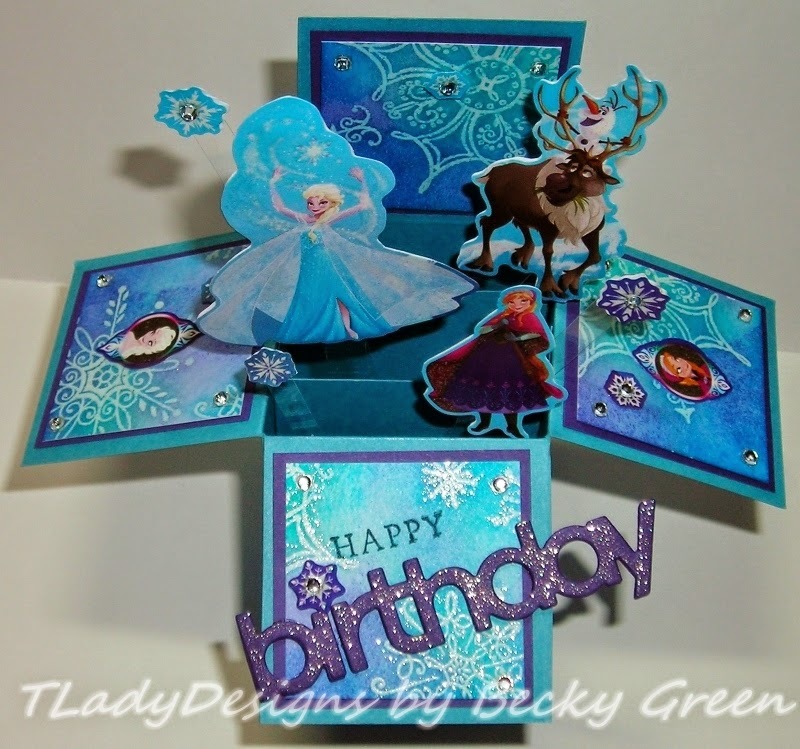 This would definitely make a super Winter Birthday Card! 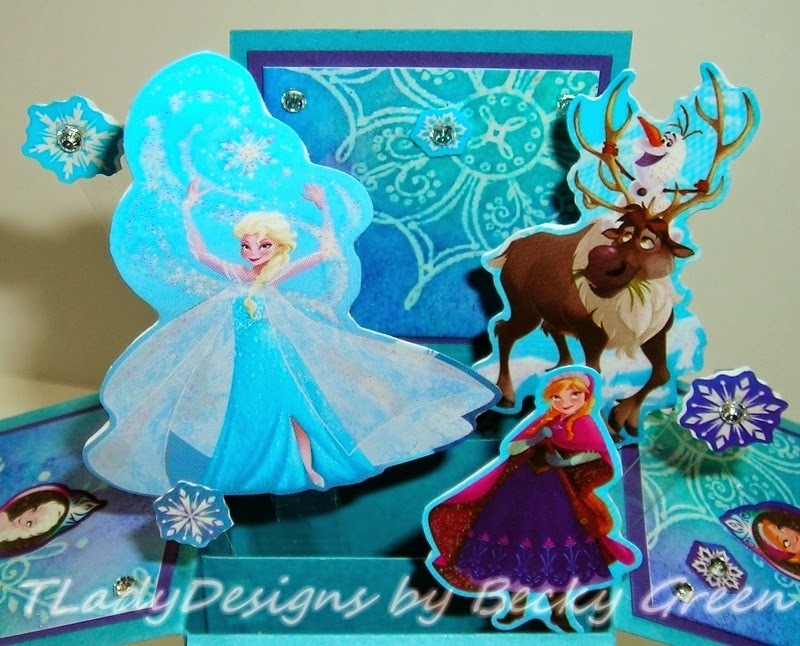 Hope you find your Frozen Stickers & Washi Tape easier than I did! "Happy Birthday" to our "Baby!" 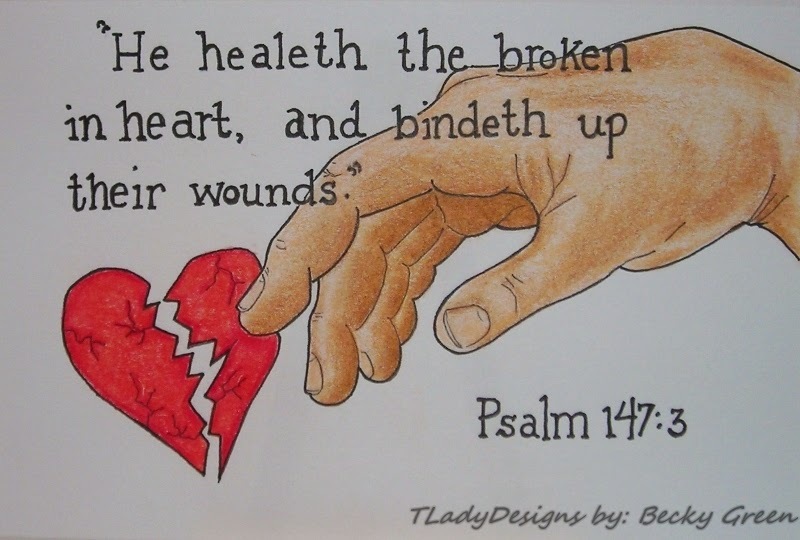 touch broken hearts & change lives! Here is a Scripture card I made for you. Feel free to copy & use this for your personal use. I believe this is the direction the Lord wants me to go with my blog--- if I continue to blog at all... This blog can be a distraction to what God wants for me... Posting won't be the "priority" it once was. If I feel there is something I should share, I will. I'll do a few challenges when I can & post a few devotionals when time allows....I have a task/project at hand I need to be working on & it will take a lot of my time & effort. I will let you know when it is complete! Say a prayer for me? Also, I am still working on getting my Tea Cup Template available for you. (I just do things differently than others.) But, as I have shared before, before we moved to where we are now, I used to share my testimony in WM's, (Women's Groups); God did a mighty work in my life several years before that..., I had been through some things in my life at a very young age, where it made me afraid of everything! God healed me from fear, helping me do things I'd only dreamed of before; helping me to be what God truly intended me to be! I couldn't find my way around the fear that gripped my life before. When we moved here, we had left "bad" situations that left us broken & hurt as a family. There was nothing left to keep us where we had lived for so many years anymore, my husband had retired & it was the time to move onto better places. Sometimes after having been hurt, we get side-tracked, & we try to fill the hurt with those things that make us feel good, soothing the pain at times. For me, it is my art or singing that soothes me. The whole of what happened, encompassed church, family, school for our kids & work. It all happened one right after the other & it all had stolen my joy! I couldn't even sing anymore, nor did I want to. I feel God wants me to get back on track. I will try to continue to share my art, whether it be stamped or free hand, & give you devotionals as I have been doing, to the glory of my God & Savior, as He leads! But, there is something that is growing in my heart that I can not put off. My posts may not come every week....I cannot promise anything. I'm just in a place of wanting to do whatever it is the Lord wants me to do, looking for His direction. Something great is stirring in my soul that I can't quite put my finger on yet. abiding in the one true vine that I will find my direction. I know some of you will understand what I'm talking about. There are only so many hours in a day & I must put priorities in their place! He is a GREAT & POWERFUL & LOVING GOD! I am so privileged to know Him intimately since I was a young girl! & pray it never ends! I put on some music, I hadn't listened to in awhile. This particular song had the same affect on me it's had before---once again, pulling me into a place of BEING STILL; long enough to quietly listen, & hear His voice, to absorb His presence, still long enough to look in-ward & see where I have failed, & into a place of worship, "bringing me to my knees," & still long enough to sense the direction He wants me to go, through the reading of His Word & quiet whispers in my ear... I play this song over & over ---soaking in every word---letting the words become my prayer. I can't seem to stop listening to this song even these many weeks since I wrote this post....This song is TRULY one of the most beautiful worship songs I've ever heard----"May I know Jesus more & more, come live in me all my life, take over, come breath in me...." What BEAUTIFUL words of submission to a GREAT & GLORIOUS GOD! To a God who loves His children with such a GREAT LOVE---so much so that He gave His only son to die for us, & His son who WILLINGLY died for us, Jesus Christ! If you aren't feeling loved today---are lonely, needing a "hug" for whatever reason, Jesus CAN fill those needs! 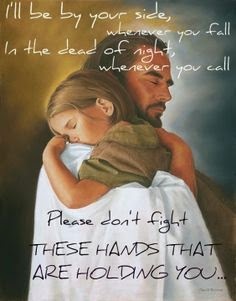 Yes, he CAN wrap His arms around you--- He wraps His arms around me daily! Be still & talk to Him, let Him hold you! There is no greater love than that of our Wonderful Savior! The love He offers is true, righteous & filling! It is consuming! He anxiously awaits to hear YOUR voice, calling His name! He WILL hear you! " And I will rise on Eagle wings," that is what He does for us when we submit to Him! It doesn't mean everything will be easy, quite the contrary! He will lift you up above the troubles of the day, "on Eagle's wings," & help you cope. Anything is possible with Christ! Let Him prove Himself to you this very day! It is my hearts prayer that if you don't know Christ, you will find Him. All who call on Christ WILL find Him! -let Him "take over" your life! "Eagle Song" by Darlene Zcchech. P.S. This blog post was actually written several weeks ago--this is an update: God is so good to give direction & confirmation when needed. When you start to wonder/doubt if He did speak, sometimes you get a word of confirmation, or two, which can come in different ways... This article really spoke to me. I hope you can find time to read it & are blessed by it too. It's a BEAUTIFUL DESCRIPTION of what is happening in me! P.S.S. This song is from Hosanna Music, Hill Song Music Australia. There are many more wonderful worship songs on the two CD's offered in this set! I have a card for you today that I sent our daughter & wanted to share it with you. I wanted to use pieces I've been really wanting to use & hadn't had a chance to use them till now. I am linking this to the Our Daily Bread Challenge, "Anything Goes." A little different than I usually do...but, fun never-the-less. I thought our daughter would be encouraged by this one, as we have been talking about the power God has to change us & make us Holy, like Him. I used an old encyclopedia page for the backdrop of all these fun pieces....you can see the top right hand corner, "English Language." That symbolizes, that God will speak to us so we can understand Him, & show us where He wants us to change, IF we are in tune with Him. 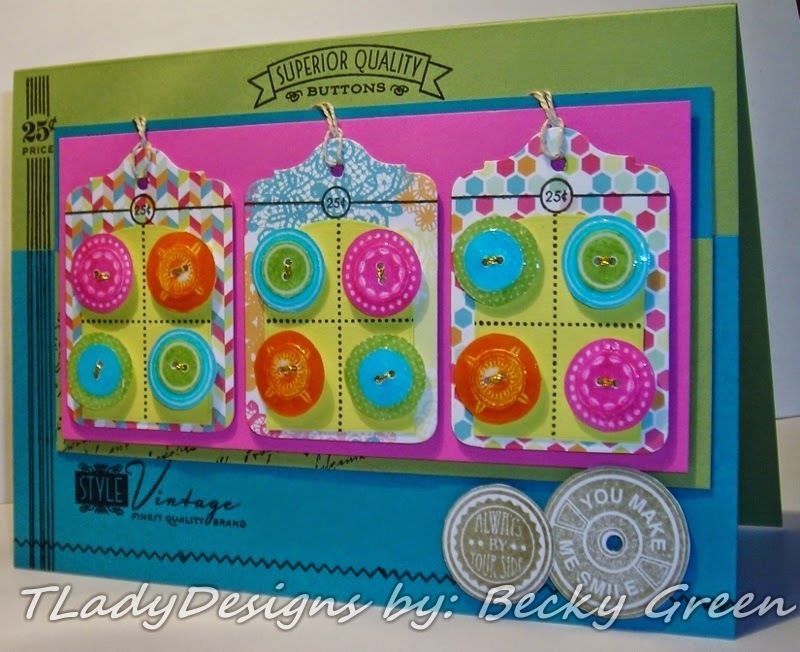 I used a fun die by Echo Park- View Master Die. This symbolizes the pictures or scenes in our lives. 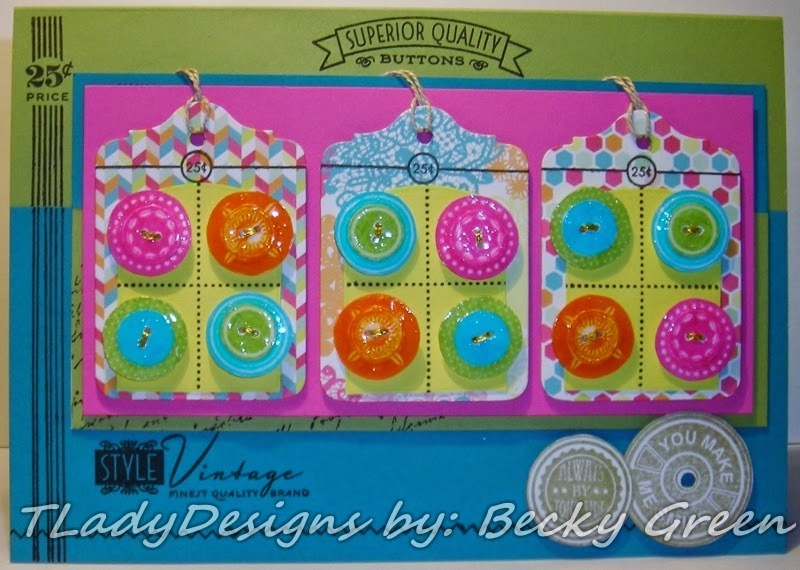 by Theresa Collins-Vintage Finds- VF1021, I found on Amazon. I used the same manilla folder to stamp the Library Card- PTI. Then I die cut the PTI- Library Card Pocket Die from the Trend Setter Paper Pak. 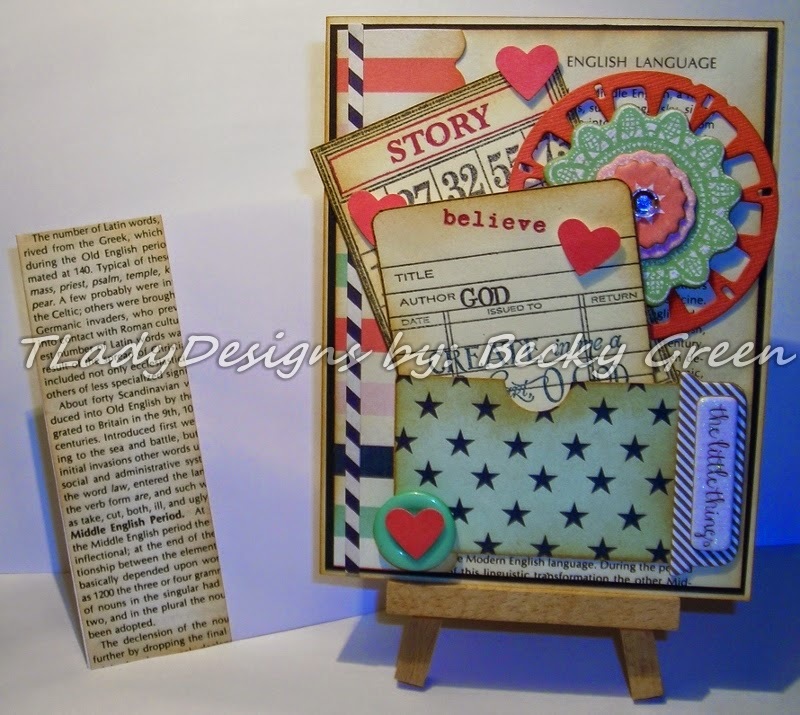 To the side of the pocket die is a Layered Chipboard by Bo-Bunny. It says, "the little things." That's because the little things do matter when serving God. Here you can see the Bingo card better. I added some Heart Punches- SU, raised up on Scotch Perm. Mounting Tape. I didn't cover the "Free" space, because nothing in this life is really "Free!" Not even Salvation; that was paid for with Jesus death on the Cross. "Create in me a clean heart, O God and renew a right spirit within me." Psalm 51: 10. Holiness, is a condition that is to be worked for continually, each & every day. Notice the "Author?" The author of our being is God. I will fill in the "Title"- with our daughter's name, it's her life & she is the one who gets to choose what she does with her life! God gives us free will as to whether we will serve Him or not. He doesn't force anyone to love Him, He wants people to love Him willingly because of who He is & because of His Great Love for us! It's our choice! The Button is by MME. Now with the Envelope by WRMK. The inside is blank for a lengthy note of encouragement! What is your "Life's Story?" P.S. If you think your college student won't appreciate your sending them a card or note....just know they DO! For some reason, our daughter wasn't receiving her mail yet & she was quite worked up when I talked to her. I told her to let the Post Office staff know that she is missing mail. That doesn't help her feel too much better at this point though! SU- Calendar Alphabet & Number Stamps. A Life time of "Truths & Lesson's Learned!" PLUS! 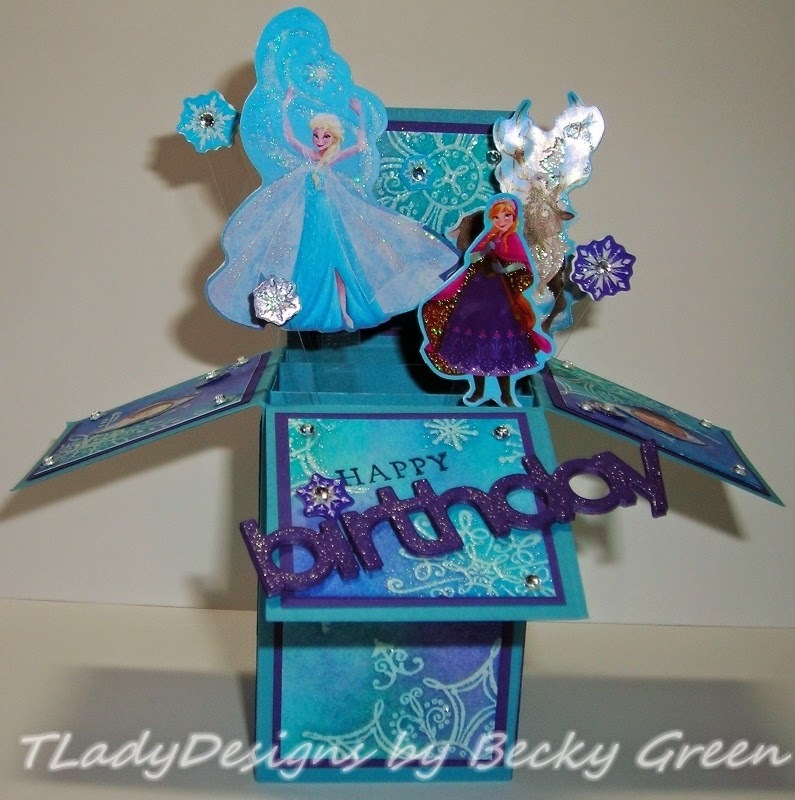 I saw a blog friend of mine do a post for her birthday naming the lessons she has learned for her 50th birthday post. I thought it very insightful & thought I would list a few "Truths & Lesson's Learned" for myself! They are not listed according to priority or most important, nor does it tell my age; just thoughts as they came to me. Hopefully, you will find them inspirational to you too! 1.) Do not say, "Never say 'never,' " but be careful what you say "never" too! 2.) I will not stand behind or "cover" for any man or woman I discover doing wrong! It goes against everything within me! 3.) When you think you're in God's will & find you are being abused...it isn't God's will; RUN! 4.) Be willing to walk away/ Never hold anything too tightly! 5.) Have a godly & wise person to turn to for counsel. 6.) Live according to God's Word. 7.) When threatened by others, call them on their threat/stand up to them! Bullies are cowards! 8.) Let God battle for you! 9.) Please God, not man! 10.) Always be introspect---checking your motives. 12.) God's ways are BEST! 13.) Other people's lack of planning or their burning of their bridges, doesn't make it my emergency! 14.) Praise God in ALL things! 15.) Your life is what you make it. 16.) A good husband is to be valued! 18.) Read God's Word everyday & know it! 19.) Do everything as unto the Lord! 20.) Love God with all your heart! 21.) Be thankful in ALL things! 24.) You may think Chocolate is heaven, but it's NOT! 25.) Stay away from caffeine. 27.) Try to be organized. 28.) Use your talents for God. 30.) There are FEW you can truly trust. 31.) You can always be replaced. 32.) God knows my heart. 34.) Encourage, don't tear down. 35.) Patience is a virtue. 36.) Selfishness is as evil as murder. 38.) Stand up for what you believe! 39.) We only have one life, make it count! 40.) Always be willing to learn. 41.) God only wants good for us. 45.) Be forgiving, but test before you trust! 46.) Don't let people make you doubt yourself. 47.) No one is a better advocate for your children than you/ You know what is best for your children! 49.) Doctor's don't know everything! 50.) Ministers are only people & they are fallible/ they make mistakes. 52.) Weigh everything by the Word of God. 53.) Enjoy the little things. 54.) Abusers tell you you "can't," they tell you to "shut up" Keep quiet/ keep their secret;" No matter how they proclaim they are "Christians" they are deceived! Don't "keep quiet/ keep their secret," TELL! People who abuse others are cowards! 56.) God is never late! 58.) God cares & is involved in every little detail of our lives! 59.) Put no other god before the one true living God! 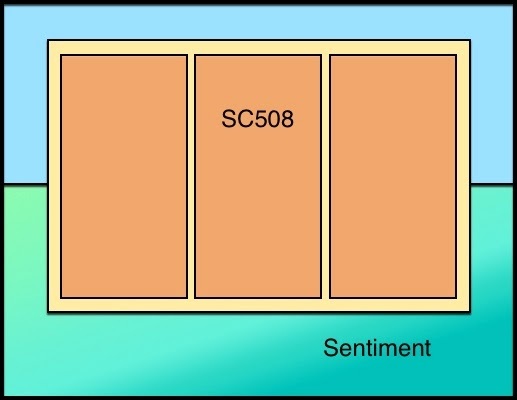 60.) God is in Control! I hope this list has made you think about some of these things. Try writing your own list of lesson's learned! Here's the "PLUS" to my post! I have a card to show you today too. It's a card I made for our daughter for this week. 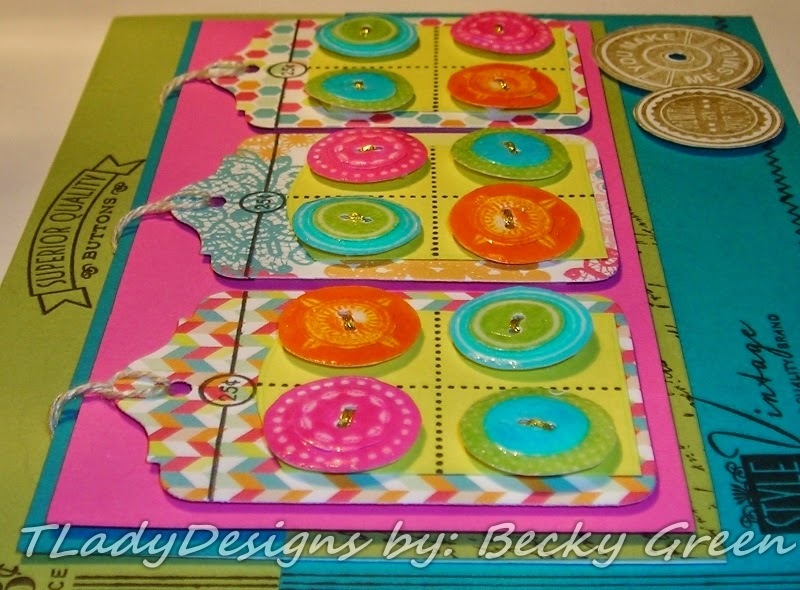 I used SU- Chalk Talk Framelits Dies & PTI- Button Boutique & SU- Notable Notions. even though I haven't used them much. 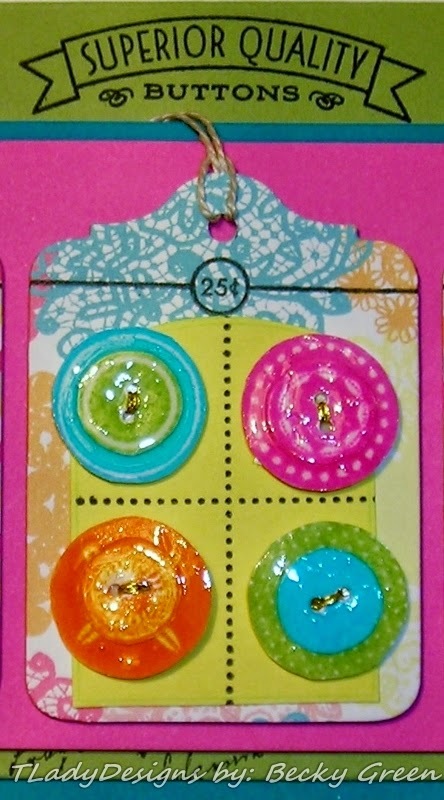 I created my own little buttons using PTI- Button Boutique & SU- Notable Notions. 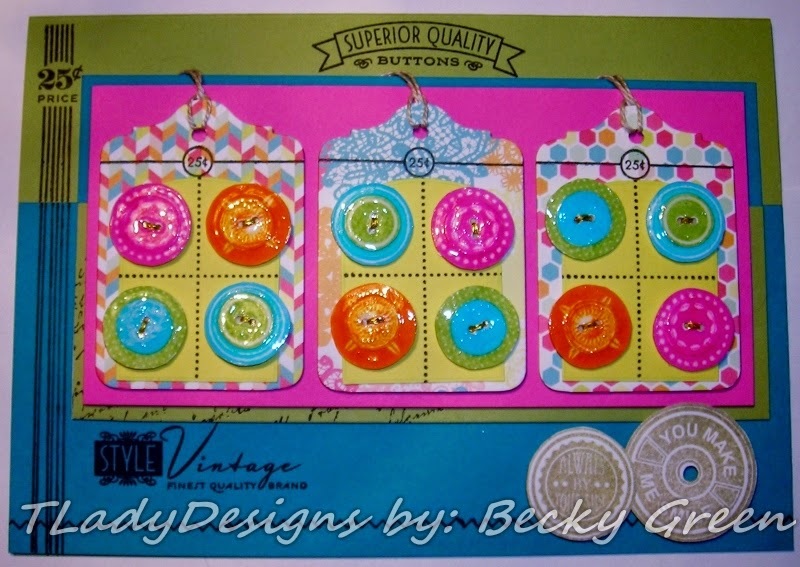 I layered the button images, punched the button holes, & added Coats Gold Thread. I then mounted the buttons on Scotch Perm. Mounting Tape & then applied Diamond Glaze. Here you can see all the layers & the places I added Scotch Perm. Mounting Tape. This is the inside, done with PTI- Purls of Wisdom. 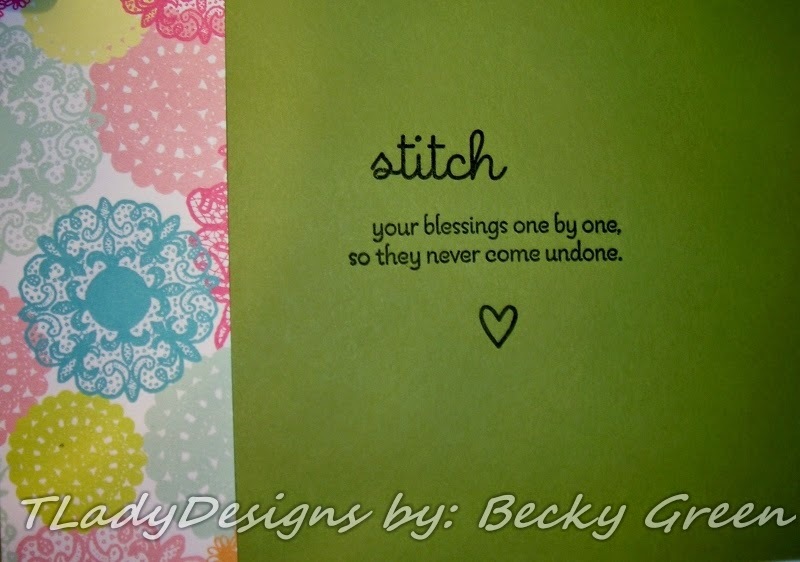 Hope you like & "stitch your blessings one by one, so they never come undone!" What are your life's "Truths & Lesson's Learned?" Come back next week for "A Life's Story!" P.S. 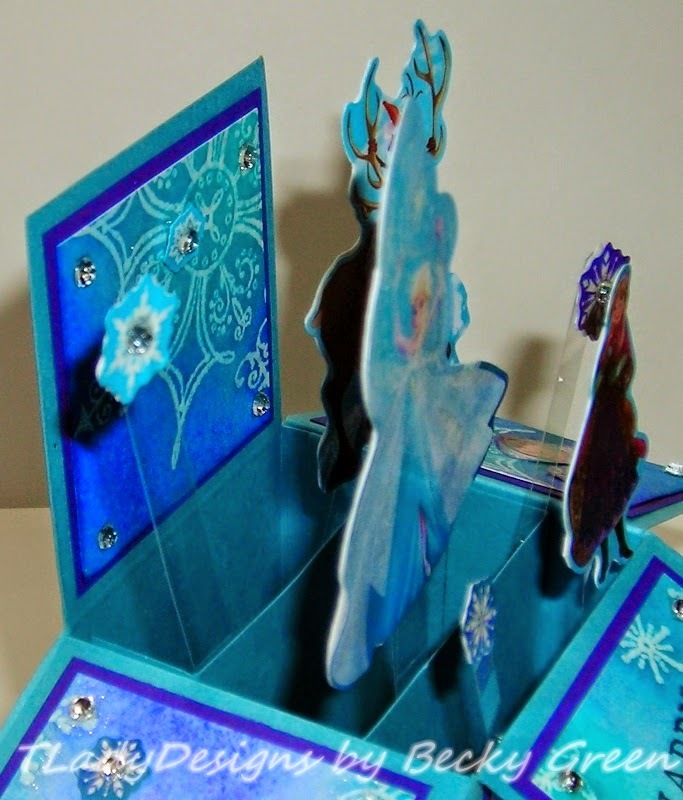 This card was bigger than I usually make---it was 6 3/4" x 4 3/4"; my envelope board didn't have the measurements for this card, so I just used an 8 1/2" x 11" piece of paper to create my own envelope.